This weekend I re-did Amelia's nursery in 9 hours. Technically I painted the room the night before (which took about 90 minutes) and the rest of it I did the following day. 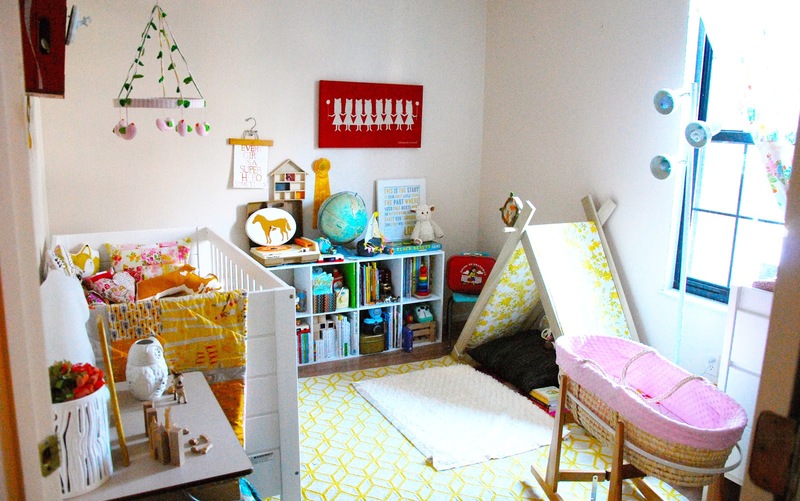 and here is a whole blog post with a full tour of her "before" nursery. I loved her room before but it was sooooo cluttered and not practical for a baby on the move. Plus, like I said before, I can't stay with one look for too long. 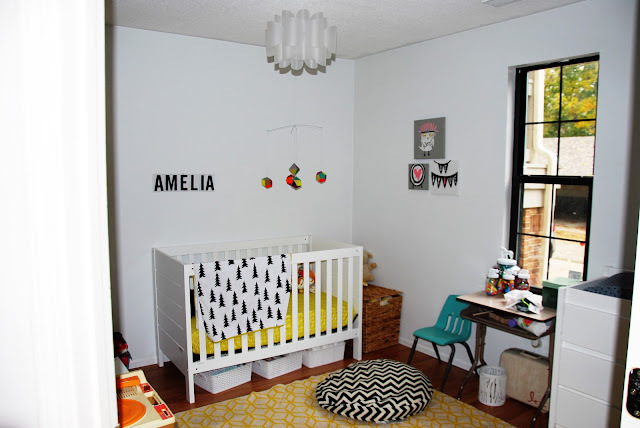 I love this new modern, streamlined, bold new look for Amelia's room. Stay tuned for a full room tour. You aren't even looking at the cutest wall right now!! I love love love projects like this. I will be posting the whole makeover this weekend! it's amazing! Great job! This is super cute. I loved the before, but I really love the after. And you are so right about the setup before and a baby on the go.